How many smart devices do you have at home that are connected via WiFi? Even TVs these days use WiFi. More often than not, majority of the household members will grow mad if the WiFi is down or if they cant stream their movies. The internet is everywhere and its not just a want anymore, it's already a necessity. Laptops, desktops and smart phones are always connected. Smart TVs with access to the Web are becoming commonplace, as are digital media players. Home security devices, and soon enough, even refrigerators, will soon be linked as signs of the march towards the inevitable Internet of Things. As each new electronic doodad introduced to the market is ostensibly “smart”, the scramble for bandwidth becomes fierce, weighing down the strength of your connection. 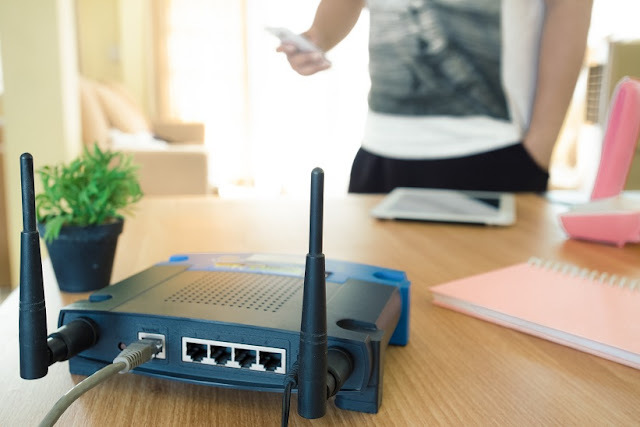 But while connectivity can get noticeably slower, there are a few quick-fix ways to help the strength of your WiFi signal at home. Placement of your WiFi router. It’s natural that the farther away from the router you are, the slower your signal will be. So try to place your router at your home’s central location. Be mindful of physical barriers between the router and your internet-capable device. Walls made from dense materials such as masonry are obvious signal deterrents. Lighter materials on the other hand, not so much. Proximity of other devices. If your WiFi signal is normally strong then experiences occasional drops, there may be frequency interference from some home appliances. Common culprits are microwave ovens, hearing aids, cordless phones, lamps, refrigerators or other wireless devices. Your neighbors WiFi network can also retard and degrade your signal, so change your frequency and/or your router channel. Upgrade your software/hardware. Manufacturers are always tweaking firmware to eke out a bit more performance from their devices. So sometimes getting optimum speed is just as simple as upgrading your router's software. Regularly check to see if one is available. Sometimes, however, your old router just needs to be replaced. Consider a range extender. Because routers are reliable only up to a certain distance, invest on an add-on device that can stretch your WiFi signal. Called ‘repeaters’ or ‘range expanders’, these devices will act like another client with its own IP address, will pick up your signal then extend it. Just make sure that when buying one, it is indeed capable of broadcasting your specific signal. Control hogs and leeches. There is only a limited amount of bandwidth to go around. And when you have too many people connecting to your WiFi, of course your connection will bog down. Sometimes family members may be downloading heavy torrent files, playing online games or video streaming, thus using up most of the bandwidth allocation. Other times neighbors may have actually gained access to your wireless network and are getting a free ride. Reminding family that the bandwidth is to be shared and changing your WiFi password regularly will cure that. Increased gadgets at home. Over the last few years, more and more Filipinos are carrying personal devices—smartphones being the gadget of choice—to fulfill many of their daily tech-based needs like uploading and downloading files, personal and professional communication, online streaming, and keeping up with the world at large. Many Filipinos still perform these bandwidth-heavy tasks at home at an average of four hours a day over WiFi connections. Bandwidth-heavy tasks can pose significant toll on WiFi connections at home; users might observe slow and inconsistent connections at the peak of such activities. Sometimes, it is just a matter of strategically positioning your WiFi router and the things around it, and looking into added routers if needed. Robust, reliable connections are necessary to enjoy world-class digital experiences at home—and strengthening your home WiFi can be the key toward more opportunities for communication, learning, and entertainment right where it matters.